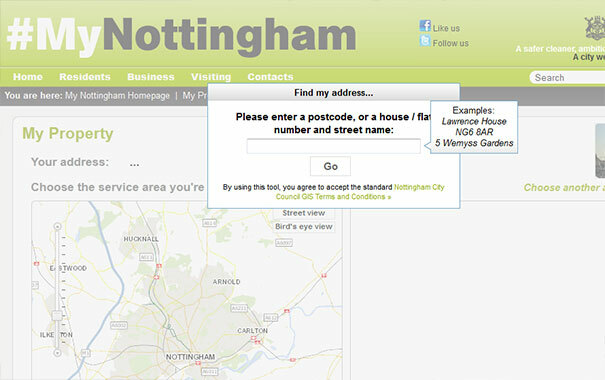 This page showcases those websites using Nottingham Open Data. If you'd like to be added to this list, please Contact us! Adopted Highways Use this application to investigate which highways (roads, streets, footpaths and adjacent verges) are publicly maintained (adopted). Nottingham City Council as the Local Highway Authority is responsible for maintaining and repairing these highways. My Property Discover information about your property and surrounding area. Enter an address into My Property to find out a range of information such as when your bin collection day is, which Council Tax band falls into, which school catchment area you fall into, where your nearest doctor's surgery is, where your nearest library is, and much more. 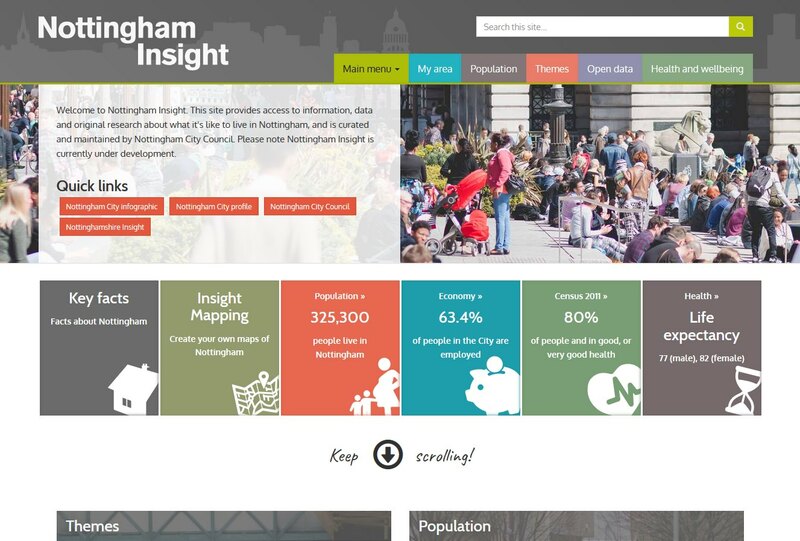 Nottingham Insight Mapping Insight mapping is an interactive map of Nottingham and surrounding areas providing access to a wide range of layers. Add your choice of layers to the map to find out where bus stops, schools, or community centres are. Or see historic mapping, or go directly to Street View or Bird's Eye View of your chosen location. Openness: closed; various datasets here cannot be reused because of closed licensing, usually Crown Copyright. OpenGeoScience OpenGeoScience by British Geological Survey. parkrobo Most of the time we do know where to park, But do we know if that place has got availability ParkRobo is exactly trying to solve that problem. It not only helps you find the parking place, but also tells you whether it has available spot or not. 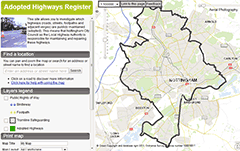 rowmaps This interactive web site can be used to display a map showing rights of way in an area you choose. The underlying map can be from the Ordnance Survey, OpenStreetMap, Google or Bing. You can ask for a map that is close to a specific place. You can also ask for transport stops (such as bus stops) to be added to the map. There are also details about how you could include such a map on your own web page, and how you can build a route for a walk, run, etc., by selecting several rights of way and then outputting it in KML or GPX.